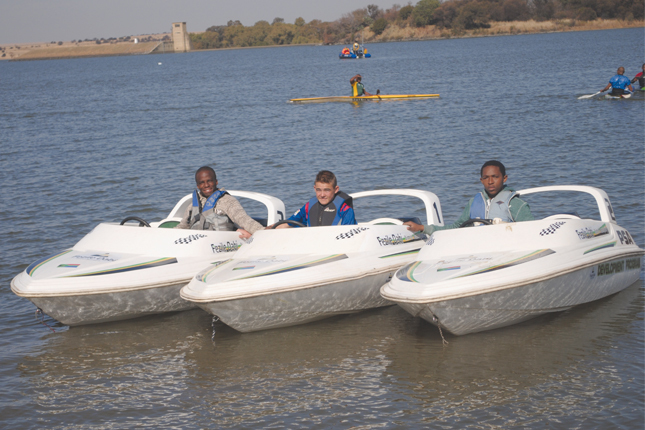 The Fezile Dabi District Municipality launched a Power Boat Club in Koppies recently with the objective of transforming formerly disadvantaged kids into prospective world champions of the sport. The doors of the club were officially opened by the chairperson of the social development and tourism portfolio committee in the district municipality, councillor Georgina Guza. 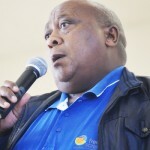 Guza was standing in for the Fezile Dabi District Municipality’s executive mayor, Max Moshodi, who was part of the ANC provincial executive committee, that had visited the ailing former president of South Africa, Nelson Mandela, in hospital. She said the municipality was serious about developing the sporting talent of young people in the region. Guza said there will be two power boat and mountain bike teams that will take part in the development programmes which are aimed at strengthening career development of the participants. “We all know that talent can be turned into a thriving career if it is natured. We are taking part in developing these children because what they do can make them champions and put our district in the national and international map. They are the children of Fezile Dabi, Free State and South Africa and they deserve our help. “We have made a pledge as the ANC led government to develop skills of young people with potential and passion and it is so good of us to develop these children whilst they are young,” added Guza. The developing power boating and mountain biking athletes are mentored by accomplished boaters and bikers. They include Shaun Terrence, who was the first black world powerboat champion; Alex Greiler, Ben Bradice, Jacks Levis and Phillip Small, who is the mountain biking champion. These trainers will work under the trusted supervision of Terry Rincas, who is also a former world power boating champion. The aspiring power boating champions’ parents were happy about their children’s participation in the programmes. Nonkosi Mohapi was pleased to see her daughter, Morewa, being selected to take part in the programme. She told The Weekly she had never dreamt of her daughter participating in this prestigious sport. Another parent, Maleseba Ntlatseng, thanked the district municipality for giving her child a great opportunity to pursue her sporting dream. Serame Lekekela, who was also amongst the parents who came to support their children, told The Weekly that in the past blacks did not take bicycle riding as a serious career. Fezile Dabi District municipality spokesperson, Thomas Nopeche, said the two projects will also be used to attract more tourists in the district. “Our main focus is to organise games which will become annual events and develop tourism packages around them to achieve our objectives of growing tourism in the district,” said Nopeche.